It was the first of Elul, 5695 (1935), when Rabbi David Cohen (known as ‘the Rav HaNazir’) arrived at the guest house where Rav Kook was staying in Kiryat Moshe. Exactly twenty years had passed since their first transformative encounter in Switzerland. This time he held in his hands a special document to show his dying master. For twelve years, the Rav HaNazir had labored to organize Rav Kook’s writings into a systematic, comprehensive work. As his revered master lay on his death bed, he showed him the beginning fruits of his labor - the title page of the first volume of Orot HaKodesh. Rav Kook rejoiced; and he shed tears. Avraham Yitzchak HaCohen Kook was born on the 16th Elul 5625 (September 1864). On the day of his bris, he received a kippah as a gift. From that day on, his parents always kept a kippah on his head. Even while he was sleeping, Avraham Yitzchak's parents did not take the kippah off his head so that he should not be bareheaded - not even for a minute. The little boy would not fall asleep without his kippah. When he turned over and it fell off, he immediately woke up. Avraham Yitzchak was four years old when he was brought to the cheder (school) in his home town of Geriva, to learn to read. The teacher offered him a siddur and turned to the page with the alef-bet. 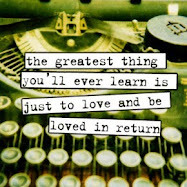 The child stubbornly refused to learn. "Why won't you study?" asked the teacher. "I want to learn from the big books" replied Avraham Yitzchak shyly. "Which big books?" asked the teacher. Avraham Yitzchak did not know how to answer. Instead he ran home and brought back a Shulchan Aruch, the Code of Jewish Law, and another large heavy book. The teacher smiled and said to the child: "If you want to be able to learn from the big books, you must first study from the small books." Avraham Yitzchak understood and began to read the alef-bet from the siddur. In the same cheder, there was a class of older children who were studying Torah. Every Friday, these children were tested on the material they learned all week. One Friday, an interesting thing happened. One of the older children did not know the answer. There was silence. Sudddenly, the voice of a small boy from the youngest reading table was heard. It was the answer, spoken clearly and correctly. Avraham Yitzchak had been listening to the lessons of the older children and had understood them. Little Avraham Yitzchak invented an unusual game to play with his friends in cheder. He arranged the children in rows. Each child had a knapsack on his back, as if they were getting ready for a long journey. Avraham Yitzchak was their guide. The small soldiers asked: "Where are we going?" "To Israel, to Eretz Yisrael..."
After many years of diligent study, Rav Kook was appointed as the rabbi of Zoimel, one of the small villages in Lithuania. 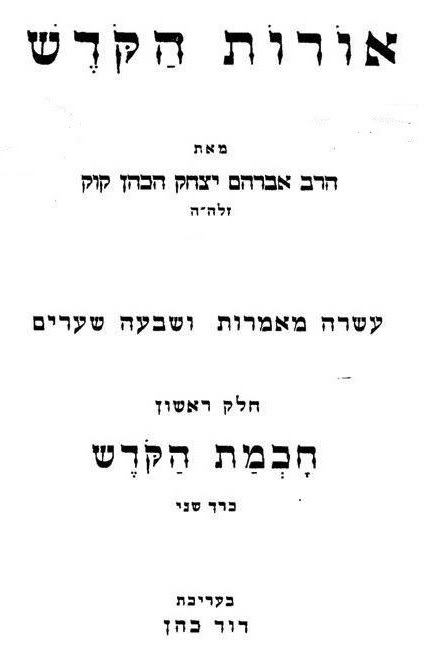 After serving as rabbi of the town of Zoimel, Rav Kook was appointed the rabbi of a large city, Boisk. In Boisk, the Rav could sit and learn Torah for many hours each day. There was a time when he would learn 50 or 60 pages of Talmud in one day. Many years passed before the Rav went to live in Eretz Yisrael. When the possibility of becoming the Rav of Jaffa arose, he refused all other appealing offers which came from European Yeshivot which asked him to be their Rosh Yeshivah or from great cities abroad, whose congregants wanted him to be their rabbi. In addition, the congregation of Boisk refused to allow their rabbi to leave, until the Jews of Jaffa wrote to them explaining that the mitzvah of yishuv Eretz Yisrael, settling the land of Israel, takes precedence over everything else. 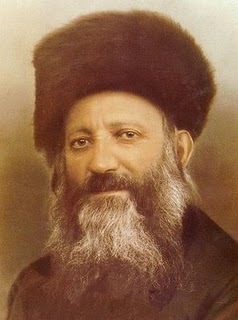 On Friday 28th Iyar 5664 (10 May 1904) Rav Kook went to live in Eretz Yisrael. He was received at the port of Jaffa with great honours and began his term as Rabbi of Jaffa. At that time, Israel was under Turkish rule and Jewish settlements were first being established. Jaffa was one of the main centers of Jewish settlement. Hundreds of people from Jerusalem, Rishon LeZion, Rehovot and Petach Tikvah came to welcome the Rav and to form their own impressions of this unique figure, and his wife the Rabbanit Raiza Rivka. The first World War broke out. The Rav had gone to Europe on shlichut, as an emissary for Eretz Yisrael, and could not return to his home in Jaffa because of the war. He stayed in London and served as a rabbi of the city. But he was constantly worried about the fate of his community in Jaffa and the hardships facing Jews in Israel which was then in a state of siege and famine. After the war ended, the Rav returned to Eretz Yisrael. The Jews of Jaffa wanted him to continue as their rabbi. At the same time, the community of Jerusalem asked him to become their rabbi. The Rav debated this dilemma for quite some time. He knew that a small part of the Jewish community of Jerusalem did not want him as Rabbi. He did not want to be the cause of fights and arguments in the Holy City. On the 3rd Elul 5679 (29 August 1919), the Rav came to Jerusalem and only after a while did he bend to the will of the community, and become the rabbi of Jerusalem. Here he established the centre of the world-renowned Yeshiva Merkaz HaRav, the "Centre of the Rav". Later, along with Rav Yaakov Meir Charlop, he instituted the Chief Rabbinate of Eretz Yisrael, with both rabbis acting as Chief Rabbi. All his time and effort was dedicated to the Rabbinate, the affairs of the community, and to the learning of Torah. On the first Yom Kippur eve, after my father passed away, I was not yet five years old. Every morning since his death, my mother would wake me before dawn and wipe the sleep from my eyes with the same words: "Get up, my daughter, my neshama, my soul, to pray for the memory of your righteous father, the tzaddik". What a tzaddik was, I did not know, but I imagined he looked like this: a kippah on his head, his beard long, his eyes warm and good, the palms of his hands soft, and his voice, melodic. Just like my father who was taken from me. It was erev Yom Kippur. After the pre-fast meal, my mother took me to the house of Rav Kook. The sun was about to set. We marched quickly to the Rav's house. The streets were filled with worshippers, clad in white, hurrying to the synagogue to hear Kol Nidre, the opening Yom Kippur prayer. Opening the door, we were welcomed by the fragrance and warmth of burning candles. Rebbetzin Kook and her daughter opened their arms to us and began to cry. My mother patted my head. "Soon you will go into the Rav's study to receive his blessing" said the Rebbetzin. With her words, my fear grew. I sighed loudly. Just then, the great door opened and from within, a righteous man, a tzaddik, came out. He was all dressed in white, his gartel was embroidered with gold. On his head he wore a white kippah; his beard was long. His eyes, warm and good, were looking at me with pity and kindness. "Aba! Daddy!" I cried and clung closely to my mother, hiding my face in her dress, my limbs trembling. I heard my mother's voice through my tears: "Go my child. Receive a blessing from the honoured Rav!" She led me a few steps towards him. The Rav took my small hands into his warm, soft ones. "Do not cry, my child" he said, placing his hands on my head. "Do not be afraid of me. I was a friend of your father. Come here and I will bless you on this holy day." The Rav's hands were soft and warm - just like my father's. His voice was melodic - just like my father's. I felt as if a river of kindness and warmth washed all over me - from my head to my toes - just like when I used to sit on my father's lap. Rav Kook was so righteous that he always forgave his enemies and even loved and blessed them. In his last days, the Rav became very sick. He suffered in terrible pain. It was difficult for him to learn, and it was difficult for him to hide his anguish from his students and relatives. On the morning of the 3rd Elul, his condition became worse. 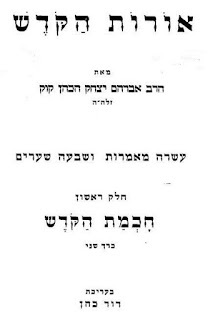 Even though speaking was very hard for him, he strained himself and demanded of his family and students not to add any titles to his name on the cover pages of his books, not to eulogize him, telling them (do not call me) "Rabbeinu, our Rabbi, and not the "Chief Rabbi of Eretz Yisrael" - "Simply HaRav - the Rav". A large crowd stood outside the house, where the Rav lay on his deathbed. He raised his eyes to the window in his room. Everyone in Eretz Yisrael knew that a great leader, a teacher, a man of wisdom, was about to leave the land he loved so much. The Rav grew weaker by the hour. His family, relatives, and a number of his students gathered around his bedside. In his last hours, the Rav's face was turned towards the wall. His students knew that it was written in the Talmud: "If a man passes away with his face towards the wall - it is a bad sign, and if his face is turned toward the people, it is a good sign". With his remaining strength, the Rav struggled and turned himself to face the people. At the last moment, all those who were standing around the Rav broke out saying "Shema Yisrael". At sunset, on the third day of Elul 5695 (Sept 1st, 1935) the Rav passed away. The news flashed through the Jewish nation with the speed of lightning. The backbone of the Jewish nation was broken. The Rav of the generation was gone, the Rav of the era, the Rav of Eretz Yisrael at the time of her rebirth. Exactly 16 years (3rd Elul) after Rav Kook ascended to Jerusalem, he ascended to Heaven. It is a will and rumors about bringing moshiach...which is at the door.….but there are rumors that people are still deaf and blind so there should be some tests to prove that...are they awake or not but sleeping! This may be of interest to you.. If you multiply this time period by 5, that comes to today. That's fantastic, only you would even think of doing that !